In an effort to focus on character education and student maturity, the Random Acts of Maturity (RAM) award was initiated. Winners of this award are selected from a list of students nominated by staff members who witness them performing a "random act of maturity." Every month a winner is selected from those nominated. Picture recognition in The Republican, and the school newspaper, website and yearbook. November RAM Student of the Month is Josh Boatman. Josh was chosen by multiple teachers for displaying citizenship in the classroom and in school activities. December RAM Students of the Month are Ashlee Casey and Andie Ward. Ashley was chosen by Spanish teacher Kim Sweitzer for displaying caring in the classroom. Andie was chosen by multiple teachers for caring work with special needs populations in the school. January RAM Student of the month is Kyus Spencer. Kyus was chosen by Spanish teacher Stephanie Lewis for displaying justice fairness and equality in the classroom. 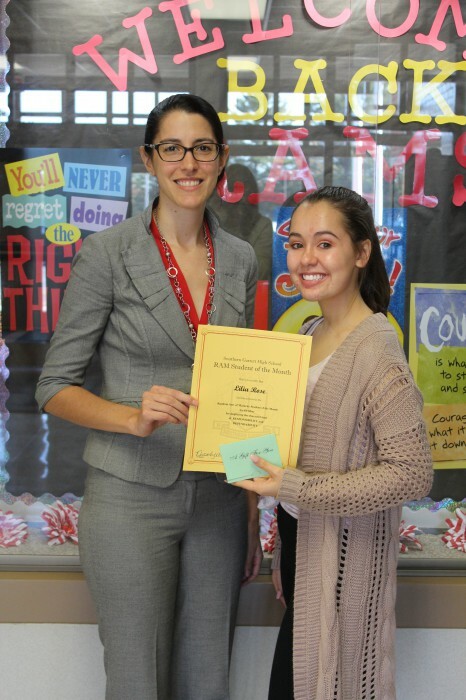 October RAM Student of the Month is Lillia Rose. Lillia was chosen by Media Specialist John Coffman for displaying responsibility and dependability as a leader in the morning announcements program. September RAM Student of the Month is Michael Boone. 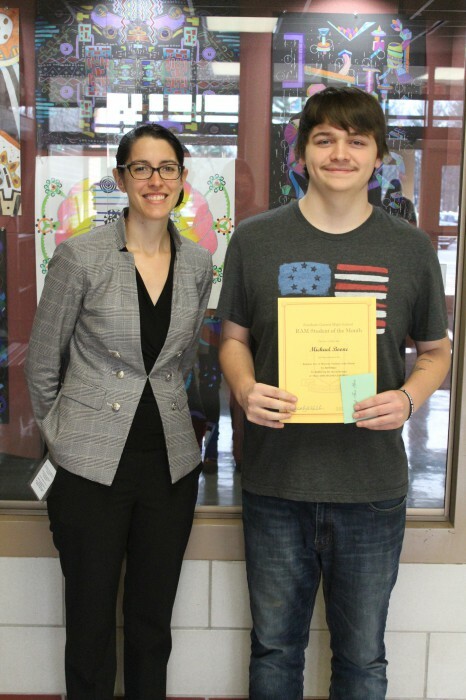 Michael was chosen by his math teacher Megan Sgaggero for displaying self-discipline and control in the classroom.